Our 2019-20 Calendar is now available! Click here to view. 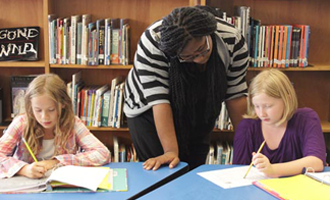 Start your teaching career with our Resident Teacher Program! Spread the word about dyslexia and resources for families! Join us at Camp HRS! Join us for a summer of fun and learning at Camp HRS! The Learning Center at Hamlin Robinson School offers services and support for students, families, and professionals and events for the greater Seattle area community. The Learning Center also hosts resources about dyslexia and other language-based learning differences.